Winna returns to her Colorado hometown to settle her father’s estate and sell his last residence, the grand Edwardian house built by her grandfather. She shares childhood memories with her married daughter as they clean and sort through both trash and treasure. Winna hopes to reconcile with her disinherited sister Chloe, and resumes relationships with her best friend and her high school boyfriend. As the house gives up its secrets—a handwritten will, old love letters, an unfinished story in a notebook, and a diamond ring hidden among her childhood marbles—Winna calls into question everything she ever knew about her beloved grandmother. Then in the dark of night come footsteps on the stairs and numerous break-ins. Valuable art and jewelry go missing, her car’s brakes fail on a mountain road. Winna has an 80-year-old mystery to solve and needs to stay alive long enough to do it. The House on Seventh Street was inspired by the Nancy Drew Mysteries the author read as a girl. Readers of both literary and women’s fiction and old fashioned mysteries will enjoy this book. Actually, I didn’t think about it like that until later. I was a romantic teenager with stars in my eyes—you know. Gramma said she packed her bags. She went to the train station to meet him, but at the last minute she couldn’t get on the train. When it came down to the moment, she realized that she couldn’t leave her baby son. She said she kissed her lover goodbye and watched the train pull out of the station. Later, she learned that he had died on that trip. Mystery of one’s past is memorizing, tantalizing and sometimes, downright catastrophic. There are both pros and cons to discovering or dredging up secrets from the past, but it is with a strong heart and will that makes a person decide to travel down that path in the first place. Williams captivates her readers with the assembly of a secretive past, incorporating a cozy mystery into the depths of her findings. 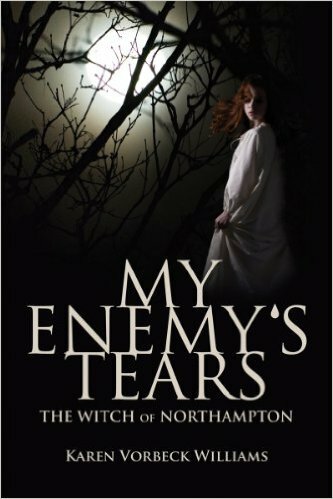 The characters that this author has created have vast depth to their personalities, making this story fascinating. The House on Seventh Street is thought-provoking and mysterious. Winna, returning home to settle her father’s estate, has one thing in mind. She wants to get everything taken care of and return back to her home—away from Grand Junction. With her daughter assisting her in the cleanup, Winna discovers a lot of things from her family’s past. Most importantly, someone wants Winna out of the way and makes that very clear when several incidents occur…made to look like accidents. With a break-in and the breaks on her tire being tampered with, Winna feels like she has a mystery on her hands. Why would looking into her past cause such paranoia and fear in the hearts of anyone else? Her relationship with her sister, Chloe, is a bit outdated, but can Winna’s personality and her strength bring her family all back together again…maybe even rekindle the relationship of a former lover? Karen Vorbeck Williams has a stunning novel that is well-written, compelling and creative. The author does a superb job with character development and back-history. The pace is very fluid, but a tad slower than normal—largely due to the retelling of Winna’s grandparents and parents’ history that is discovered upon diving into the house’s hidden artifacts. The narration is professional and organized. If you are a reader of literary or women’s fiction, this may be your cup of tea. KAREN VORBECK WILLIAMS began writing as a girl–short stories, poems, and little essays on her beliefs. 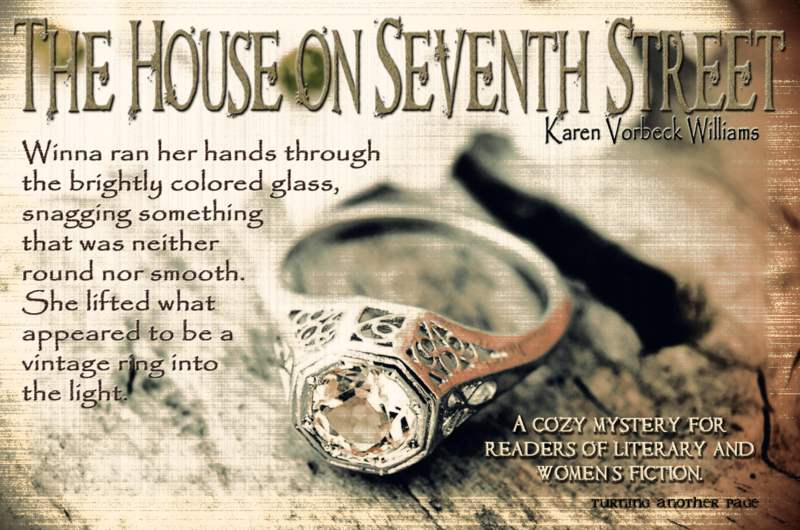 Karen’s second book “The House on Seventh Street” was inspired by the Nancy Drew Mysteries that she loved as a girl. The book is set in the town where she was born and is based on a number of memories from her youth as well as family stories and myths. She was writing fiction which gave her the liberty to exaggerate these stories and tell whopping lies if that would improve the plot or deepen the characters’ motivations. On the personal side, Karen is a widow and grandmother, an avid amateur photographer, and master gardener. At the moment, she is working on her third novel–again historical fiction set in 17th century New England–and a book of short stories.